How do I get a prize?Get your first prize after reading two books. Get your second prize after reading four more books (total of 6). Where are the programs?At many of your local libraries. We have calendars in the branches with all the programs, and you can check the programs online here*. 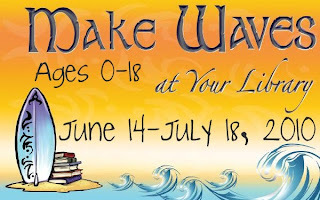 Visit your local library starting June 14! More questions? Just ask at your library! *All branches must adhere to the room capacity as posted by the fire marshal and as a result, space may be limited at programs and not everyone will be able to attend.